Thyroid and eczema: the significance of balancing hormones! Feeling tired and constantly sluggish even if you slept a full 8 hours? Eczema just not improving no matter how many diets you’ve tried? What about unexplained weight gain, or always having bad hair days? Thanks for the information. My niece has had eczema ever since she was a baby. Judging by what you’ve said, it sounds like her hormones are just out of balance. I’m going to follow your tip about having her look into treatments to help her out. It’s just good to know that there are solutions out there! Hi Irena! Glad to hear the article was able to help you. Eczema is a tough condition, but it can definitely be controlled and cleared! Let me know how things go! Thanks for this valuable info. I wonder why my dermatologist isn’t onto this approach. Hey, small town, limited choice! My mom says I was almost born with skin disorders and in my older years I am plagued with eczema and the redness and dryness of skin on the legs and breakouts all over. It gets so bad that I plead for a hormone shot from the doc and my skin clears up so nicely…for a month or so, then it starts all over again. I eat fairly healthy but as a retired musician I drink lots of pop and coffee (quit the booze years ago). At any rate, I was suspecting that hormones are an issue and thank you for the valuable info. Where to now St Peter! Oh my word, I just realized I said hormone shots, I meant steroid shots! Oofda! First of all what u do rlly encoureged me to fight this horrible disease( sorry for my poor english). i`ve started eating healthy 2.5 years ago even though i`ve experienced the healing crisis for a long time eventually i saw major improvements on my skin. but…sadly after i got pregnant i got worse lil bit and after giving birth it`s gotten terrible same as the healing crisis. Now i`m 7week postpartum.Since i gave birth i`ve been strictly on the elimination diet, eatind fermented foods n taking enzymes once again. it`s getiing worse n worse which makes me hard to take care of my baby. Do you know if there is a connection between eczema flare ups and pregnancy/giving birth? Hi Bayara, thanks so much! I’m happy to hear that I was able to give you some encouragement. Some people can have eczema during pregnancy/birth as eczema breakouts are closely linked to hormones. I suggest asking your health practitioner about a protocol to help you balance your hormones, as often just doing an elimination diet isn’t enough in this area. 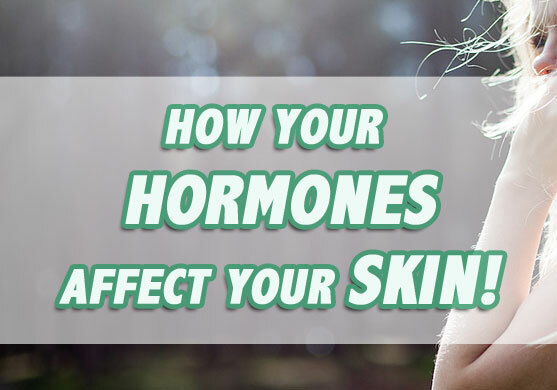 In my program I give suggestions on how to balance your hormones to improve your eczema: it’s very important for women! Hope this helps, let us know how things go! good and informative article. There are various home remedies for thyroid available and i have noticed people following them and are getting cured. Thanks Aysha! Glad the information was able to help. Christina, thanks I loved your article. Great information. I have been doing functional medicine from a book since June 2015 on healing the gut first. I would like to see her, but she’s too expensive. Over a year ago I have had symptoms of Hypothyroidism, I just had blood work done, I’ll know something in a couple weeks. I’m eating organic and taking the right supplements has helped, but my eczema and super dry skin came back, thought the only thing different I was doing was, I went back with coffee. I started cooking my own meals for I think I’m gluten sensitive, for I know I can’t even have wheat bread at all. So I cut out all breads and carbs. 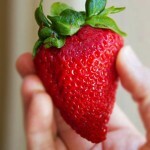 I Eat foods that are good for the thyroid, fruits and non inflammation, fish, free range meats, fresh organic vegetables. I’ve had coffee before when it was like from Hawaii and it never made me itch or caused eczema, I changed it, so I think that’s the problem, so I quit it 3 days ago to see if it’s coming from coffee. My doctor says, sounds like stress and maybe you need to talk with a therapist…why do doctors assume, that’s the problem before testing the thyroid? I’ve suspected my hormones are way off. If she doesn’t do the whole thyroid test and the T-free and reverse then I’m paying the $400.00 for the test online. Do you have any thoughts on this? 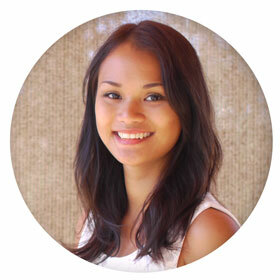 Hi Stephanie, glad I was able to shed some light on eczema and thyroid issues! Testing can be tricky–A healthy thyroid produces mostly T4 and just a little T3, (it converts T4 into T3) so it would make sense that the most important thyroid blood test is the total T4, because that indicates whether there is even enough thyroid hormone to convert into T3. However a lot of doctors only test you for T3, and they may say that your levels are “average” or “fine”. However, if you lack T4, then you may not have enough thyroid hormone in the first place to convert… A more accurate test would be to get BOTH your T4 and T3 levels tested. However, keep in mind that T4 can be artificially elevated from certain drugs like aspirin, diuretics, or heparin, so if you do get tested, I suggest doing it after a period of “detox” or no medicines. If you just wanted to see if your hormones were off, you might be better getting your cortisol levels tested — as too high or too low cortisol is a major indicator of imbalanced hormones. This would be clearer and possibly less expensive. — Anyways, this is just my thoughts. Hope it helps! Let me know what you think of all this and keep me updated of course! I was born with eczema which I grew out of by the age of 19. At the age of 21 my allergies came back and that’s when I found out that I have an elevated thyroid , they tried to regulate my hormones with pills but it didn’t work (i already had crazy bad eczema here) so they killed it with the radiation pill. So now I am on a pill Synthroid to get my levels up again and I still have very bad eczema especially on my face it puffs up and its very read, so are my arms. I decided to stop taking the pill to see if it would help and it did,, my allergies are better now but still not fully gone now my skin is extra dry and a bit red before it was just crazy red. I know me not taking that dose of hormones is not good but at least mt allergies are a bit better. Is it possible that my skin just does not like that medication and can i substituted with another? Anything u know on any of this would be so helpful, its so difficult to find information on this situation. Thank you so much ! I m a patient of hypo thyroid from last 1.5 yrs, i m 36 yrs of age. Recenlty I have started suffering of stress eczema on my neck n few other part of body hence consulted a derm but he just prescribed a series of medicines n oinment without explaining cause n cure. I was very disappointed hence started researching over web n came across ur article. Trust me the information provided is very very helpful to understand the overall condition n side effect of hypothyroidism. You have explained very well. I would like to subscribe to ur treatment if any for hypothyroidism. I am from India ,where r u from? Do u have outlet in India, if yes I would like to know the details. I m also loosing hair tremendously hence need to start ur treatment urgently n immediate effect. Hi Prachi, I live in San Francisco, California. I’m glad the article helped give you some guidance on eczema and the thyroid. I do not have a treatment of hypothyroidism — but if you need eczema lifestyle tips or advice, feel free to look around on my site. 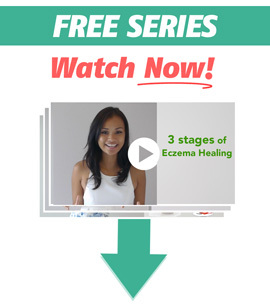 A lot of people have seen eczema improvement just by following the advice here! I was googling selenium, thyroid, gut health and their connection with eczema and came across your site. Am so happy I did. Only this morning I purchased some selenium tablets and Inner Health Plus (good bacteria), after a long break from taking them as my eczema has just returned. Whilst I have not read all of your articles yet, but I will, I am struck by your extensive knowledge and your kindness in wanting to share everything that you know and have learnt from first-hand experience. You are an angel. Hi Barb, thank you for the nice comment! Let me know how things go, I hope you continue to see eczema improvement. Christina, Thank you so much for this article. I first had a break out of eczema when I was 12 yrs old (the year I first had my period). Since then I have had it off and on for 18 years. I have had five children since being married ten years ago and my eczema has worsened and fluctuated with each pregnancy. With some my eczema would be worse during the pregnancy and with some it would be worse afterwards. I had my 5th child at the end of 2014. By February 2015 I noticed my eczema was becoming worse. Now almost a year later it’s all over my body. I have been to the allergist for testing for food allergies. Next we are trying a progesterone test to rule out a progesterone allergy, then he wants to do a patch test. My PCP ordered thyroid bloodwork because I am also feeling random bouts of fatigue even after a good nights rest. I was told the test results came back “normal.” From what I have heard from other physicians on this subject though is that the “normal range” is quite vast (0.5-5.5) and “normal” results doesn’t necessarily indicate a lack of thyroid imbalance. The largest connection I’ve made to my eczema outbreaks have been hormone related. 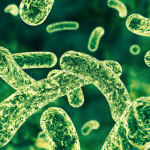 I appreciate this article so much and will definitely look into gut healing as well. Thank you! Hi Faith, thanks for sharing your story! Do look into gut health – it tends to be the missing key in many eczema problems. Let me know how things go! What do you think about virgin coconut oil in affecting our hormones?What I know,vco is good to the skin and hormones.However, I don’t know whether I’m dealing with hypo or hyperthyroidism.My skin tends to break-out even though my diet is perfect.I suspect I have trouble with hormone issues.I ‘ve taken vco a lot.Do you think is this has something to do with the vco since the vco has the hormone-regulator properties?What would you recommend for hormone/thyroid problems? Hello! 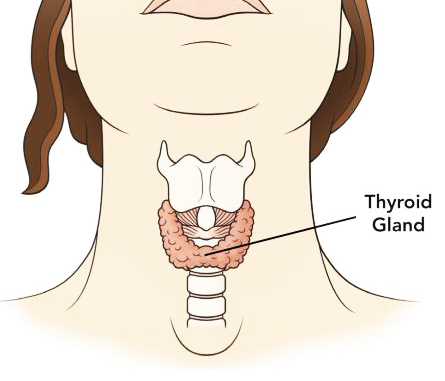 If your problem is thyroid-related, then there could be a lot of things affecting you. Can’t say for certain if it’s coconut oil or not. Thank you for info this is very helpful to fully understand whats wrong with my skin. Am I right in my thinking, this will re-balance the hormones in her thyroid… Possibly clear up her skins problem…. You advice would be greatly received…. You do a great service to All…. Hi David, I mostly know about eczema, so I’m not entirely sure of your partner’s situation with her psoriasis. The iodine might help, but of course you should always consult your doctor for specialized advice! I just developed eczema around end may and after taking oral steroid, antibiotics, itch pills and applying creams, parts of body healed but when medicine finished, eczema came back and it’s worse than previously. I asked doctor if I need to do blood tests, he said no need, I asked him if need to abstain from certain food, he said no need, I asked him if it’s hormones change, he kept quiet. How can doctors just treat you for skin without finding cause and telling me no cure and the medicine and consultation are expensive. Hi there – Steroid creams can only treat the outside inflammation, but you might need to find what is triggering your breakout in the first place. If it’s worse after you stopped your steroids, then it means that you haven’t figured out the root cause. Try going to an allergist to get an allergy test? It’s a great place to start! I just went on a Google spree because I am sooo tired of my skin, and came across your site. I have hypothyroidism and Hashimoto’s disease, and have had eczema all my life. For the last year I have noticed my flare-ups are way more regular and my skin is scaly and rough. I’ve taken steps to improve my gut health in the last few months and it is so encouraging to see it could actually help me. Practically all of what has been said in this article sounds like my personal cas study. Thank you for bringing to light what I have long suspected. I’m looking forward to more on this subject. Your site is so helpful! Thank you so much for the work you do. I only recently developed eczema – I think it’s eczema! I’m not even sure. I have seborrheic dermatitis on my scalp and I wonder if it’s just spread to my face now. Could you speak a little to the similarity of these two conditions? I know leaky gut and inflammation must be part of the problem because right before this all started I went through a rough period and was reckless with my diet for a couple months and it’s since then that I’ve developed digestive issues and the red, flaking skin on my face. I noticed gluten makes it worse so that’s out, and I’m in the process of experimenting with other foods. But I’m also suspecting low thyroid because I have many of the symptoms. I recently got tested and all my tests came back normal but in doing more research online normal isn’t optimal and my T3 was the one thing not in the optimal range. Anyway, I look forward to reading more articles from you about how to balance hormones for women. I can’t really speak for the exact difference unless I see a picture, but seborrheic dermatitis is a form of eczema. If it’s just regular dandruff from dry scalp, it will be white flakes that fall off easily. If it’s scalp eczema, then it will be more like flat crusty flakes that spreads and gets red. My 7 year old son has eczema almost symmetrical behind his knees on each side on the front of his shoulders each side and on the inner side of his elbows each side, I totally understand that where ever the eczema can mean a certain organ is in trouble but I’m not sure where to get information on which organ means which part of the body the toxins come out of the skin, I’m just wondering if you had any tips on this or where to research. You have shared a very informative article with us. This is the solution of my all problems.After reading your article i also think that eczema happens because when our hormones are out of control. I’m going to follow your tip about having a proper treatments. It’s just good to know that there are solutions out there. Thanks and keep sharing more articles with us..
Hi! Thank you so much for writing this article! It is by far the most comprehensive explanation of thyroid health I’ve read thus far. Do you see a correlation between hypothyroidism and non-alcoholic cirrhosis? there is definitely a relationship with hormones and eczema . my eczema started about 4 maybe 5 years ago when i became peri menopausal hands itchy red bumps thought it was poison ivy nope it was the start of my eczema ugh . its not as bad now but flares up just before my period . Wow! Great article. I’ve had outbreaks all my life. The last outbreak has lingered for a year. My scalp will not heal, skin feels dry and itchy. Face, neck, forehead and back drive me nuts. Oh my goodness! The oozing of my ears!!!!!!!! The hair lose has been very embarrassing. Hats and scarfs has become my best friend. Let me stop for I could go on and on. This article has helped me put everything into perspective. Blessings to you! We thank you…. This explains a lot because i went vegan for two years to try and heal my eczema and it went really well and clear for a long time then suddenly i begun to develop eczema worse than ive ever had in my life (including hives) i had blood tests for my thyroid and it all came back clear. I had no idea what it could have been so i incorporated different foods back into my diet and my skin slightly improved. My mum suggested it could have been a hormonal imbalance and to try the birth control pill. Ever since my eczema has been ten times as manageable, my eyes and face are less puffy but i do feel more fatigued at times. Do you think it could have been a nutritional deficiency that messed up my hormones?